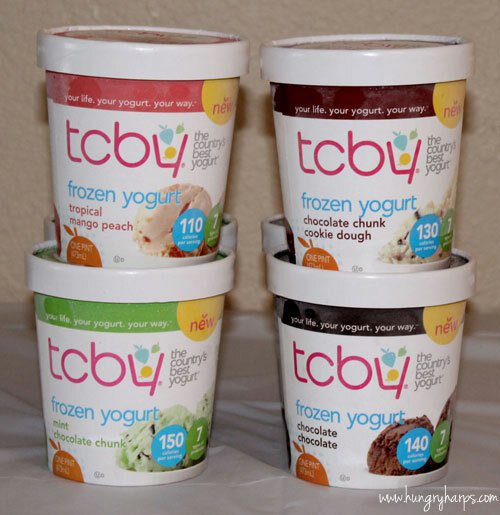 That is right, your eyes are not deceiving you - TCBY is now sold at grocery stores! 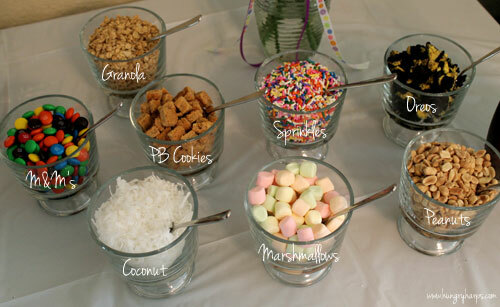 This is a big deal for people like me who LOVE frozen yogurt but never seem to make it in to a yogurt shop. 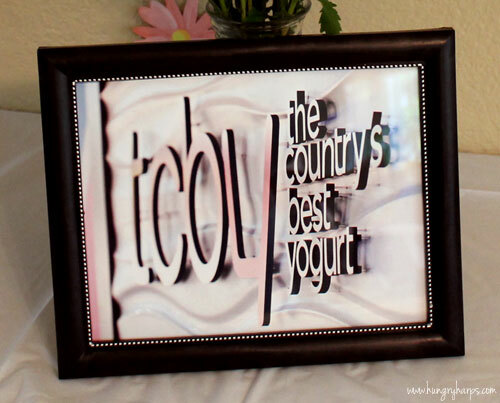 When I first heard that TCBY yogurt was going to be hitting stores I fell out of my chair started planning a Yogurt Tasting Party and a countdown of when it would be released in a store near me... then I waited. 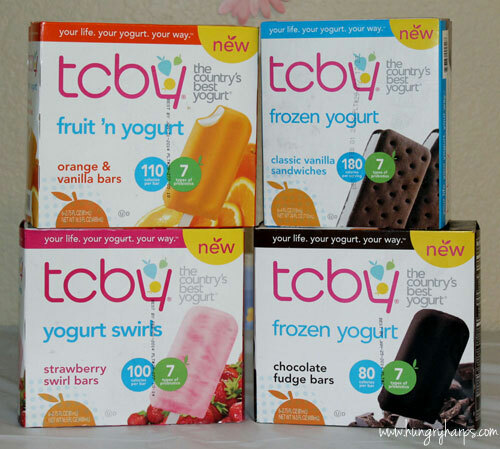 As soon as the day arrived, we headed to Walmart to find the TCBY products. 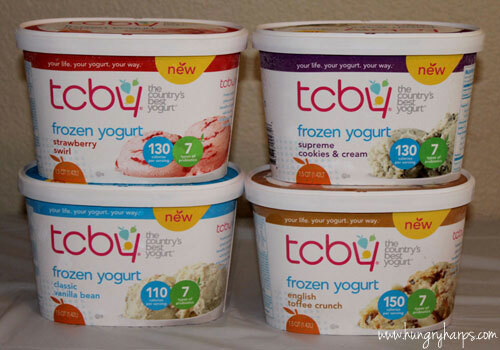 We found 1.5 Quarts, 1 Pints & Yogurt Novelties and decided to get a couple several of each. Check out our shopping trip on Google+. 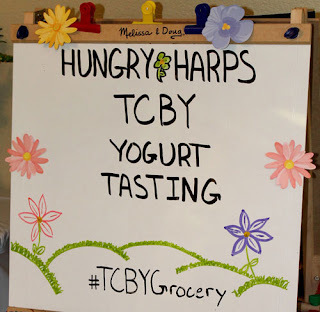 Not only does Mr. Hungry Harp go to the store with me to buy insane amounts of frozen yogurt, he also makes signs for all of our little get-togethers. I really love that guy! 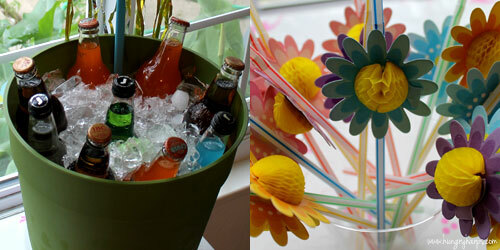 Guests had a variety of drinks to choose from and festive straws! 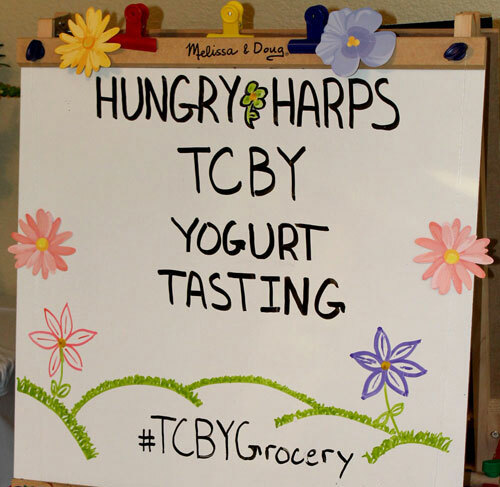 If you want to learn more about TCBY at your local grocery store check them out on Facebook or Twitter. 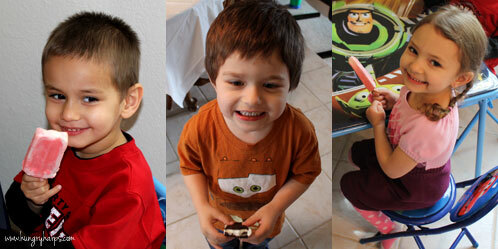 Ok, ok - the verdict. I have to be honest - it knocked my socks off. I was a bit skeptical on how good frozen yogurt could be when it is not coming fresh out of a machine, but it tastes just as good. I swear. 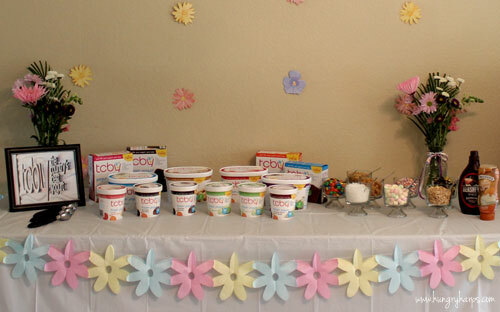 The kiddos loved the bars and sandwiches and the adults stuck to making their own bowls of yogurt. The top flavors? 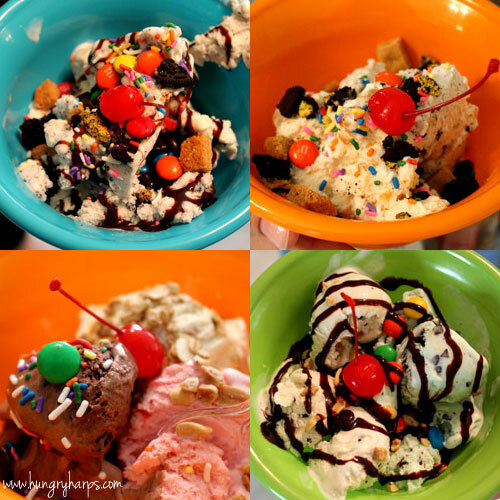 Hands-down, English Toffee Crunch was the favorite. All of the flavors were phenomenal - yes, phenomenal. I rarely praise a product this much - but this time it was amazing. Check it out!! 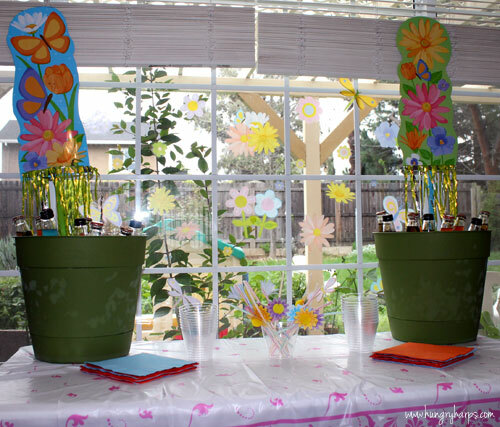 What a cute party idea!! So glad everyone enjoyed their TCBY. I haven't seen this in the store yet but it sounds delicious - I have my eye out for it now. 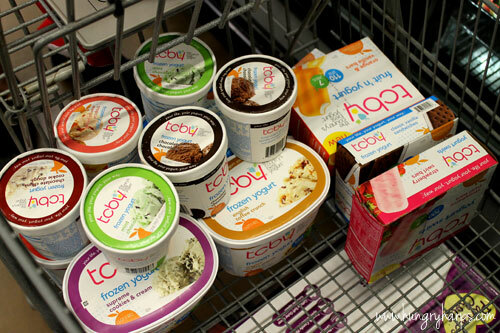 Im not sure if we have this in our grocery stores but I will be looking. 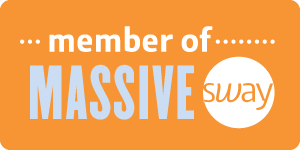 I just awarded you Versatile blog award. Stop by and check it out.